When you are in the market for high-quality clothing for the tiniest members of your family, you can’t go wrong with Rabbit Skins. Made by LAT Apparel, the Rabbit Skins line of clothing is designed with your little one’s comfort and safety in mind. The brand offers a wide range of bodysuits, t-shirts, bibs, pants, coveralls, sweatshirts and more for infants and toddlers, and they come in a rainbow of colors to ensure that there are options for every wardrobe. 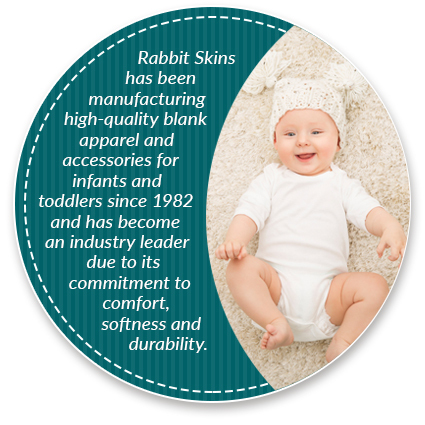 Rabbit Skins Apparel is made to feel soft against the skin, and it includes important features to ensure safety and durability, such as reinforced three-snap closures on body suits, EasyTear labels and double-needle ribbed binding. Rabbit Skins Apparel has been manufacturing high-quality clothing and accessories for infants and toddlers for more than 35 years, and they are a company that you can feel great about supporting. Rabbit Skins Apparel is owned by LAT Apparel, which also owns Code Five, SubliVie and Doggie Skins. The company has been manufacturing high-quality blank apparel and accessories for infants and toddlers since 1982 and has become an industry leader due to its commitment to comfort, softness and durability. The company uses combed ringspun cotton in all of its products, and some styles are available in nearly 60 colors. When you are shopping for Rabbit Skins shirts, bodysuits, etc., you can choose from colors that are neutral or bold and bright. There are also colors that coordinate well with team colors, business branding colors and more. Rabbit Skins Apparel even offers certain styles with stripes or polka dots. No matter what color, design or style you choose, each fabric is carefully developed to ensure that it looks and feels great, and it is designed to provide a smooth surface that works well for printing. In addition to feeling great against your child’s skin, Rabbit Skins Apparel garments are products that you can feel great about buying. All products are ethically manufactured in socially compliant, WRAP-certified (Worldwide Responsible Accredited Production) facilities that do not rely on sweatshop or child labor. The company focuses on cultivating strong and lasting relationships that are built on trust and respect, and they do this by treating everyone involved in their business with dignity. Rabbit Skins Apparel designs and manufactures clothing and accessories for infants and toddlers. While many brands offer products for young children, Rabbit Skins takes the unique needs of babies and tots when creating products that are made just for them. The infant baby rib bodysuit, for example, is made from 100 percent combed ringspun cotton and is sewn with cotton thread. The garment features double-needle ribbed binding on the shoulder, neck, sleeves and leg openings for extra comfort and security. This piece also features a reinforced three-snap closure on the bottom to ensure durability. For newborns, Rabbit Skins even offers infant layettes. With lap shoulders and long sleeves with mitten cuffs for extra protection, they are easy to change and do a great job of keeping brand-new babies safe. Layettes are absolute must-have items for new parents, and when you choose Rabbit Skins Apparel, you have way more color options than the standard pink and blue. Clothing from Rabbit Skins Apparel is CPSIA compliant, and each piece includes a tracking label. The toddler long sleeve tee is also made from 100 percent cotton jersey, and it is extremely soft to ensure your child’s comfort. 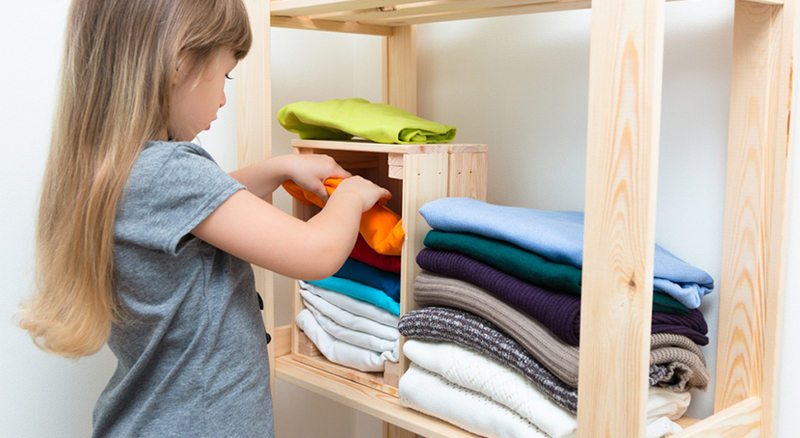 Since it is machine washable and can be tumble dried on low, it is a perfect everyday staple. Many of the pieces from Rabbit Skins are multi-purpose, making them ideal for busy families who don’t have time to waste mixing and matching outfits for specific events and situations. With short sleeve and long sleeve t-shirts, pullover and zip-up sweatshirts, pajama tops, pajama pants, coveralls and several other clothing options to choose from, you can build much of your child’s wardrobe using this versatile and affordable brand. Rabbit Skins offers more than just clothing, too. Their 100 percent combed ringspun cotton premium bibs serve as the perfect catch-alls for all of your child’s dribbles and spills. Because they are rather large in size, they also work for easy cleanup after meals as your child gets older. These bibs feature VELCRO brand hook and loop closures and they come in a wide range of colors. The infant baby rib cap is a must-have for any parent. Like all Rabbit Skins products, it is made from 100 percent ringspun cotton for softness and it is an essential for keeping babies warm and cozy. What Makes Rabbit Skins Different? While many manufacturers offer products for infants and toddlers, these products are often just smaller versions of adult clothing. Rabbit Skins Apparel designs and manufactures apparel and accessories with the unique needs of kids (and parents) in mind. For example, they use 100 percent ringspun cotton in all of their products to ensure softness against a baby’s delicate skin. They also offer their products in a rainbow of kid-friendly colors and patterns to keep even the smallest members of the family looking their best. Rabbit Skins Apparel also outshines its competitors in terms of variety. While many brands offer just a few styles and colors for small kids, Rabbit Skins has nearly everything you would need to fill an entire wardrobe. When it comes to colors, the brand offers one of the largest color assortments on the market. Whether you are shopping for a boy, a girl or you are looking for something gender-neutral, you will likely be able to find what you need from this popular brand. If you are shopping for blank apparel to customize and resell, all Rabbit Skins Apparel products feature EasyTear labels. This enables you to quickly and easily remove the tag and replace it with your own brand. Formerly known as LAT Sportswear, LAT Apparel offers high-quality clothing for the entire family. With options for men, women, children and even pets, it is possible to find products that are suitable for everyone. Their Code Five line features camouflage t-shirts for men, women and kids. Featuring designs from industry leaders like Realtree and Mossy Oak, Code Five is camo done right. If you are in the market for sublimation tees, try the SubliVie line. LAT Apparel’s SubliVie collection includes shirts that are made from 100 percent polyester that are perfect for athletic uses. They feature moisture-wicking technology and are designed specifically for sublimation printing. This line includes t-shirts for men, women and kids. There is even an adult cape! 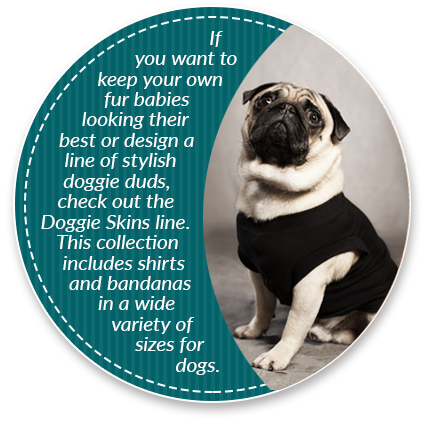 If you want to keep your own fur babies looking their best or design a line of stylish doggie duds, check out the Doggie Skins line. This collection includes shirts and bandanas in a wide variety of sizes for dogs. Made from 100 percent combed ringspun cotton, the shirts from Doggie Skins are as soft and comfortable as they are stylish. They come in several colors (including camouflage) and can be customized for a truly unique look. The bandanas are made from a 50/50 cotton/polyester blend and come in several different colors and patterns. When you choose LAT Apparel for your wholesale clothing needs, you can find options for men, women, infants, toddlers, children and even dogs. They have standard and plus-sized clothing to ensure that there is something to fit everything member of the family. All of their products are designed and manufactured with comfort, style and durability in mind. 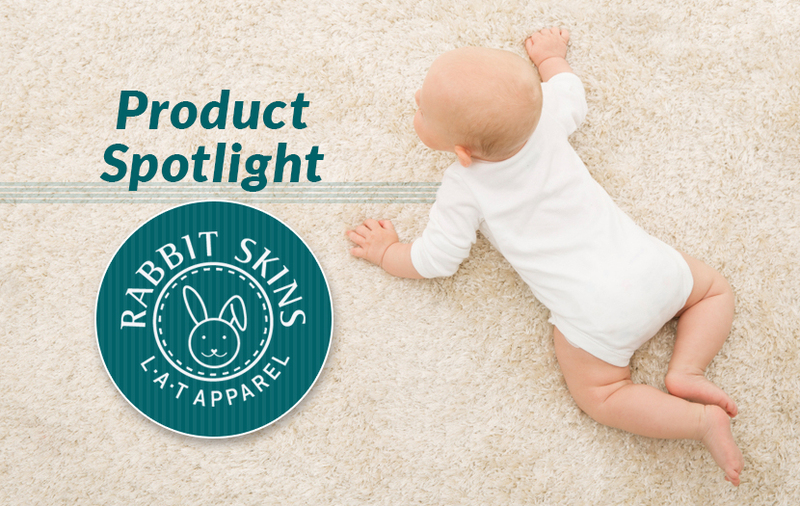 When you are shopping for high-quality apparel for infants and toddlers, you cannot go wrong with Rabbit Skins Apparel. Owned by LAT Apparel, this brand offers exceptional comfort and durability and a wide range of products to suit the needs of parents, schools, business owners and more. Whether you are looking for an affordable way to fill your child’s closet with high-quality clothing or you are thinking about starting your own line of custom apparel for infants and toddlers, investing in Rabbit Skins Apparel is a solid choice. Unlike many other brands, Rabbit Skins Apparel designs its clothing with the unique needs of its wearers in mind. Rather than simply creating adult clothing in smaller sizes to fit tiny bodies, Rabbit Skins manufactures clothing that is made specifically for the smallest members of your family. They use 100 percent combed ringspun cotton to ensure comfort. 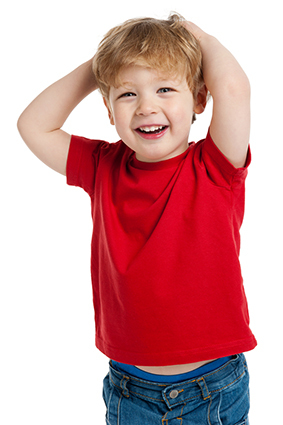 Their clothing has features–like reinforced snaps–that make it safe for even the youngest kids. At The Adair Group, we are proud to offer Rabbit Skins Apparel products. Check out our selection and feel free to reach out to us if you have any questions.